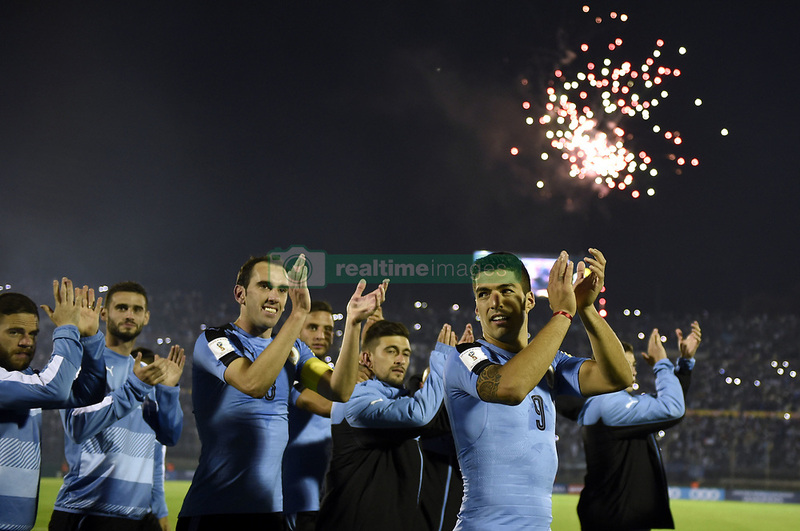 (171011) -- MONTEVIDEO, Oct. 11, 2017 (Xinhua) -- Uruguay's players celebrate after the Russia 2018 FIFA World Cup qualifier match against Bolivia, at Centenario stadium, in Montevideo, Uruguay, on Oct. 10, 2017. Uruguay won 4-2. (Xinhua/Nicolas Celaya) (ma) (da).